A long time resident of the South Bay, Dr. Zen Ni Su returned to her hometown to open South Bay Eye Care in 2005. She speaks both Chinese and Taiwanese and hopes to serve this community with her experience in primary eye care. 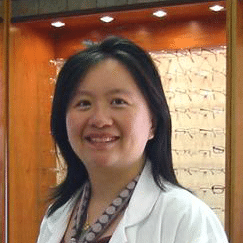 Dr. Su has been practicing optometry for over seven years now. She obtained her Degree in Optometry from the Southern California College of Optometry in 1998 and was once awarded the Dixon Scholar during her studies there. Prior, she graduated with a Bachelor of Science Degree in Biochemistry at University of California at Los Angeles. Dr. Su completed internships at the VA Hospital of West L.A. and VA Hospital in Las Vegas. She is certified in orthokeratology (CRT). Dr. Su is currently a member of the American Optometric Association, as well as the California Optometric Association. She is licensed in Arizona and has been practicing optometry in various communities throughout Southern California since 1999.